Surgery poises risk of developing complications including death and the recommended prescription as an antidote in mitigating such abatable surgical risks especially in elective surgery is the objective realization of assessment information gathered from the patient during preoperative contact. Surgery poises risk of developing complications including death and the recommended prescription as an antidote in mitigating such abatable surgical risks especially in elective surgery is the objective realization of assessment information gathered from the patient during preoperative contact. 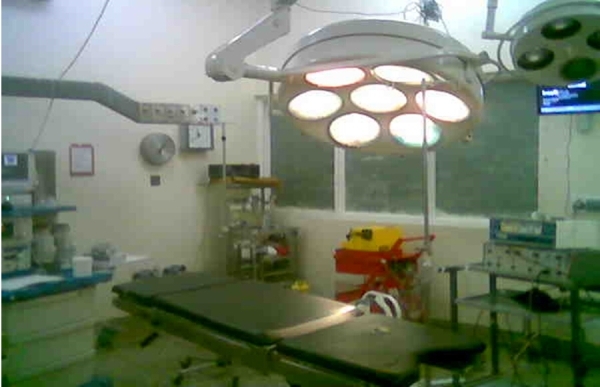 The patients’ Bill of rights says that every patient undergoing surgery has a right to quality care. Surgeons, anesthesiologists and perioperative nurses mainly referred to as the surgical team all have an obligation to conduct preoperative assessment as per their professional discipline demands. The conduit for conducting the assessment has been through preoperative ward visits by theatre staffs at least a day prior to elective surgery. However, the place and time for conducting the assessment has been quite challenging especially for perioperative nurses. These nurses are usually confined in theatre due to busy theatre schedules which sometimes impedes them from leaving theatre for the wards to conduct the assessment. You can imagine what happens in such cases scenarios. Statistics reveal that millions and millions of patients undergo surgery annually and globally. Managers recognize that planning is crucial in most successes. The phrase “failing to plan is actually planning to fail”. Is not unfamiliar. Concisely, preoperative patient assessment data is an integral prerequisite for realizing focused individualized surgical care, a blue print for planning and implementing quality surgical care. Paucity of literature supporting preoperative assessment practices among perioperative nurses has been reported particularly in the developing nations. A recent publication by L. A. Omondi shows that Knowledge on preoperative assessment alone does not culminate into quality practice. Rather, a multifaceted approach is required not only to enhance feasibility of practicing but also for quality maintenance and sustainability. Omondi focused on perioperative nurses by the virtue that these nurses play very critical roles in the surgical arena. These roles are crosscutting throughout the perioperative period continuum. Perioperative period refers to the period before surgery, preoperative; during surgery, intraoperative; and after surgery, that is, postoperative. Omondi underpinned quality preoperative assessment practices with emphasis on “details to be captured during the assessment” and “the proper use of the information gathered during the assessment”. Omondi emphasized the need for structural and process reforms as well as continuous knowledge empowerment to strengthen the quality of the assessment practice. Structural reforms entail supportive policies and enabling working environment besides advocacy and critical appraisal of the practice. Processes include deliberate scheduling of the assessments and adaptation of holistic care frameworks that encompass physiological, psychological, physical, socio-cultural, spiritual and emotional aspects of patients. Proper documentation of the parameters assessed provide reference points and baseline data that when utilized properly, enhances care proficiency and patients’ safety besides evidencing the practice. In that regard, the need to mainstream and restructure preoperative assessment practices among perioperative is beckoning as a stop gap measure to eradicate existing gaps in the current practice.